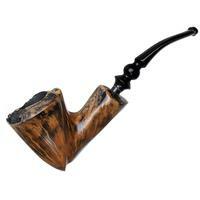 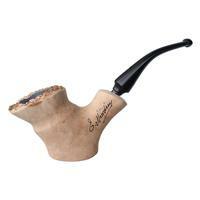 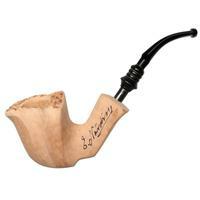 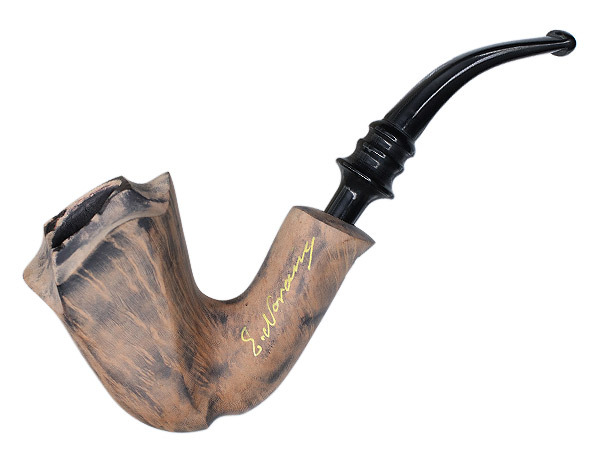 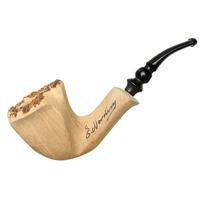 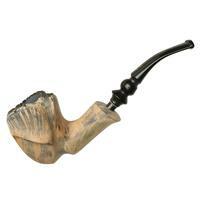 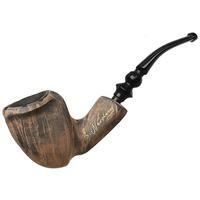 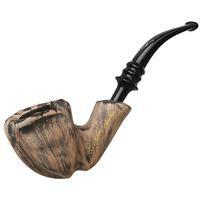 This Signature bent Dublin is finished in Erik Nording's own curious black/natural contrast, in which the smoky grain is highlighted while the rest of the briar retains a "virgin" look. 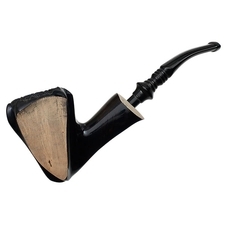 The Signature line began with Erik Nording shaping pipes at shows, then signing the unfinished briar simply as a souvenir — but these proved so popular that he decided to make them a series in their own right. 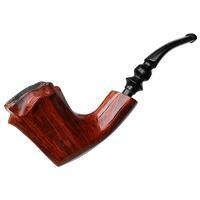 Chamber Depth: 1.97 in./50.04 mm.